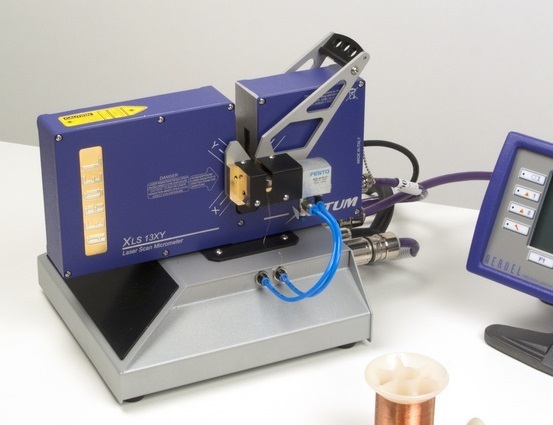 Wirelab is an ultra accurate table-top laser micrometer for the wire industry. It facilitates highly accurate offline measurement. 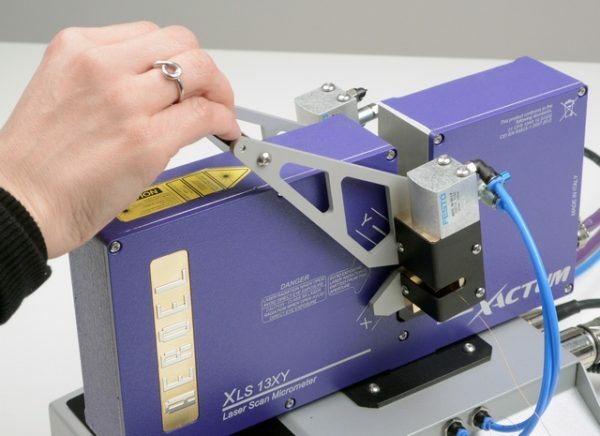 WIRELAB.XY is a high performance benchtop laser micrometer designed for analysis of drawn or extruded products, such as wire, fibre, and thin cable, where diameter and ovality are critical to measure. 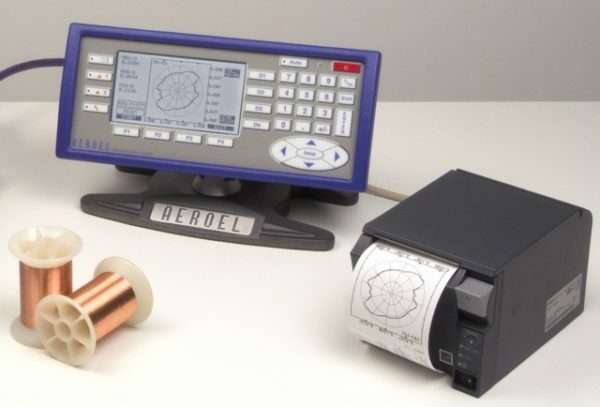 It is the ideal instrument to measure wire samples, optical fibres and magnet wire or to check the die diameter by measuring the drawn wire. 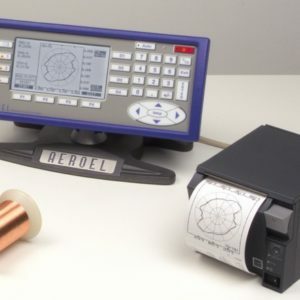 Wirelab offers ultra-accurate and perfectly reproducible measurements, thanks to AEROEL’s unique calibration and genuine thermal compensation methods and the continuous self-calibration of the unit. 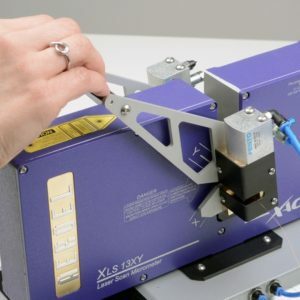 The WIRELAB bench top laser micrometer system uses a XACTUM series laser gauge, which allows fast and repeatable measurements on a wide range of diameters. Using a special fixture to manually rotate the part, the diameter can be measured over 360° of the circumference to precisely measure the maximum diameter, the minimum diameter and ovality of the sample. The measured values are displayed on a standalone LCD display and controller. They are compared with the tolerance limits, settable for a large product library, to check the dimensional conformity of the part. Scantron supplies and can custom develop a number of solutions for non-contact measurement of diameter and other metrics for the wire industry. Contact us to find out more. The Wirelab family of laser diameter micrometers have been specifically designed for offline use in the wire industry, to measure the finished diameter and the ovality of drawn wire. 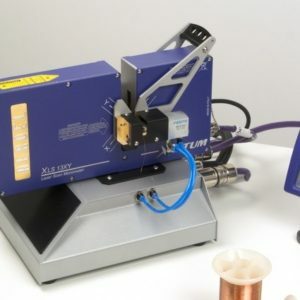 The dual axis gauge provides unparalleled accuracy and ease of benchtop measurement and, by using a hand-rotating fixture, the wire can be rotated in the beam and measured at different points. The measurements are compared to the pre-set limits as well as tolerance alarms generated. A detailed statistical report of measured product dimensions can be printed for every batch. No other system offers the simplicity or the performance of the Wirelab.